Europes Greatest Specialty has come to an end once again. 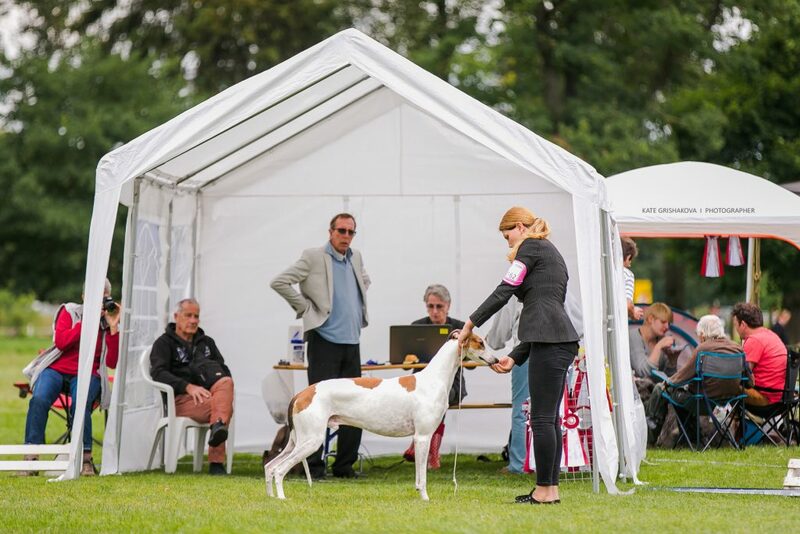 An entry of 1500 sighthounds and Mediterranean breeds. Many quality dogs, wonderful people, impressive moments and a lot of emotional ones this year too. 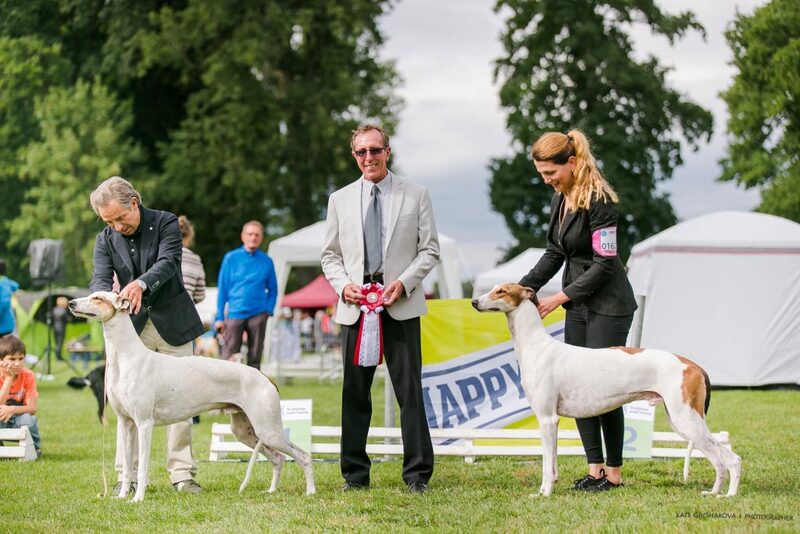 I showed only two dogs in an entry of 64 Greyhounds and we did quite well!!! 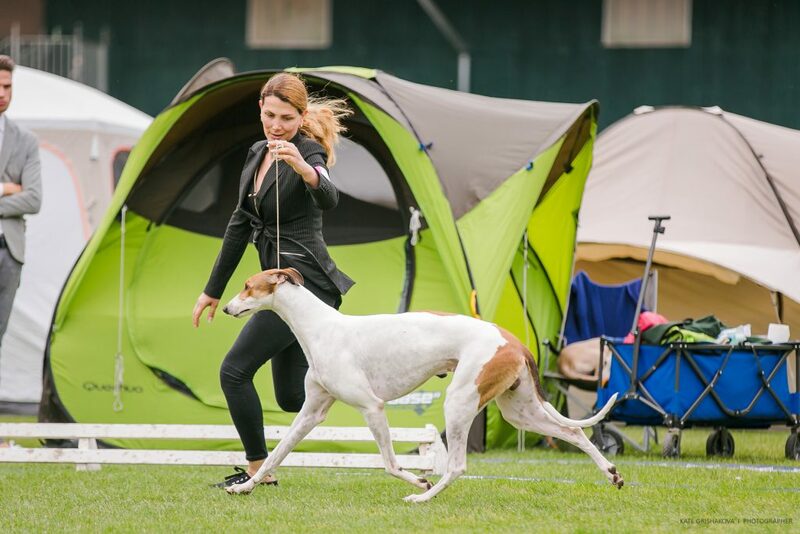 Sobers Amadeus Karkati ex1 in a beautiful large Intermediate class, VDH, CAC winner and finished as Reserve winner Donaueschingen at 21 months old bitten only by his father, Karkati’s Cesare! 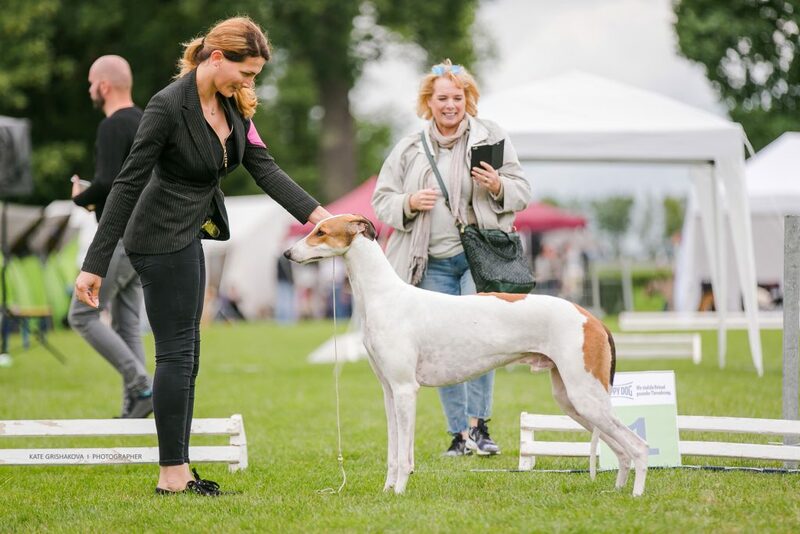 Ina’s Fashion Chic , Winner of a super strong Champion class, VDH and Reserve Winner Donaueschingen. 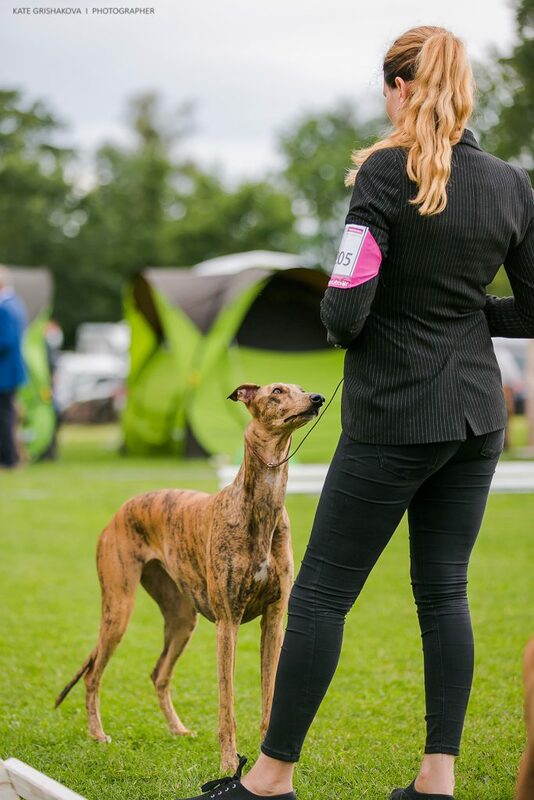 Sobers Amadeus Karkati , Ex1 in Intermediate class with VDH. 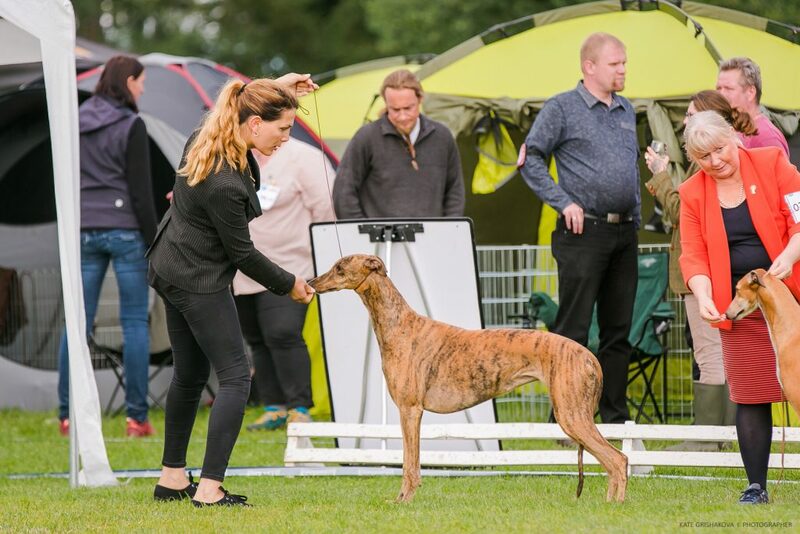 Both days I handled Danny leading a beautiful breeders group of ten for Bitte and Pieri of ‘Sobers’ kennel winning both days Best In Show breeders group. Sobers are celebrating their 60th anniversary and I am happy to have a small part in this celebration. 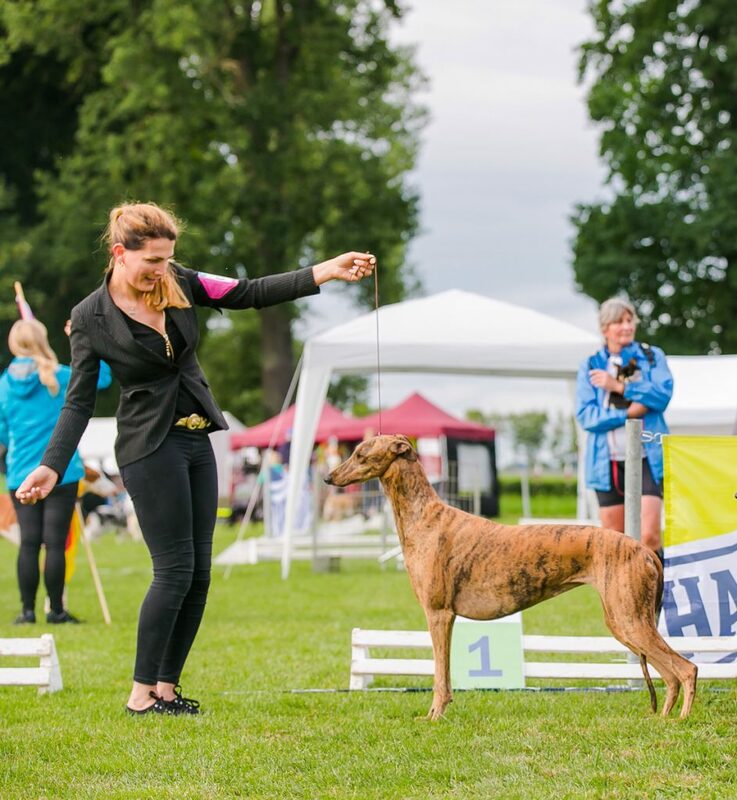 My own breeding program has several Sobers dogs in recent generations and there are more hopefully to be included.